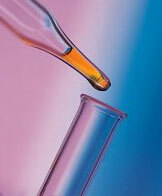 Consumers of dietary and nutritional supplements want assured quality and guaranteed efficacy. When you buy from Vignesh Life Sciences, you can offer them pharmaceutical-grade products manufactured in accordance with current Good Manufacturing Practices (cGMP). Vignesh has wide marketing network in South America, Germany and Canada through their American business partners who are pioneers for the last two decades through their American Office. Vignesh Pharma has 100% satisfied customers all over due to 0% rejection on quality and 100% backup with service and prompt attention. Banana flavored chewable tablet of Milk calcium from a bulk raw material. A pleasant flavoured and a tasty non-acidic neutral pH, better bio-absorbable Vitamin C tablet internationally known under the Brand Name Ester C from a patented imported bulk raw material from USA. An absolutely stomach & gum friendly Vitamin C.
For the treatment of Endothelilum dysfunction, for primary pulmonary hypertension and for the management of erectile dysfunction. Capsule of DHA for the brain and vision development of the faetus. One capsule a day during the second and third trimester and during lactation. As dietary supplement for the management of diabetic neuropathy, premenstrual tension and atopic eczema. A neutral pH Vitamin C drops with a pleasant taste.